In case you missed them, I wanted to flag some photos that made their way around the blogosphere yesterday, thanks in part to BoingBoing. 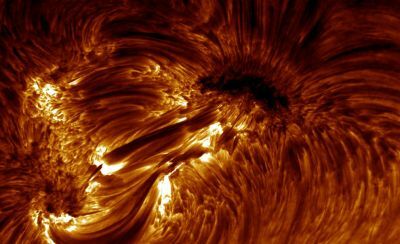 The Swedish 1-m Solar Telescope, operated by the Institute for Solar Physics, has captured images that let you see the sun in an entirely new way. Below, you'll find a detailed view of the magnetic structure of the Sun's surface. Rather beautiful. For more photos, definitely have a look here.